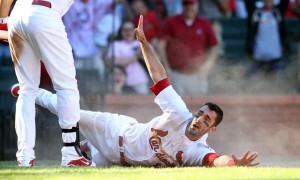 Allen Craig’s two-out RBI single scored Matt Carpenter from second to send the Cardinals to a 10-inning, 5-4 win over Milwaukee. The win allowed the Cards to avoid being swept in a home series for the first time since May, after the Brewers inched to within five games of the wild card. Brewers outfielder Norichika Aoki hit a two-run homer in the ninth inning, with two-outs, and two-strikes off closer Jason Motte to tie the game at 4-4. Motte has blown six of 39 save opportunities. 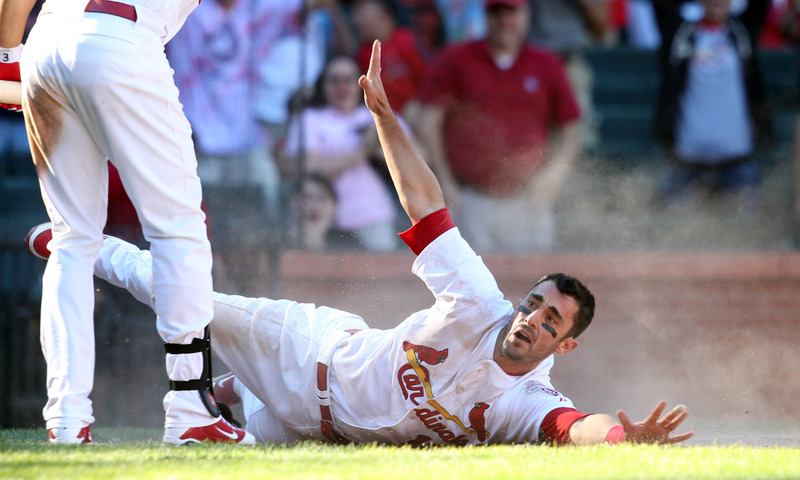 The Cardinals answered in the 10th. Carpenter reached on a one-out single and advanced to second on a wild pitch. With two outs, Craig, singled to right and Carpenter slid around the tag from Brewers catcher Jonathan Lucroy to set off the celebration.